Fans of Pink Floyd’s 1982 film highlighting one of its best album releases ‘The Wall’ might remember that a recording of Vera Lynn (see below) on the 1937 Christmas song ‘The Little Boy That Santa Forgot’ is featured in the opening sequence. However, the melancholic song frames the unexpectedly moving centerpiece of ‘Jingle Bell Rocks!,’ a thoroughly charming documentary by Mitchell Kezin about some of the odder, less known songs of the holiday season. The film will be screened free by the Utah Film Center on Dec. 23 at 7 p.m. in the City Library auditorium in downtown Salt Lake City. Kezin also will be attending the screening. Kezin remembers first hearing the song as a child in a recording by Nat King Cole and he took the lyrics to heart as the holidays of his childhood were far from perfect. 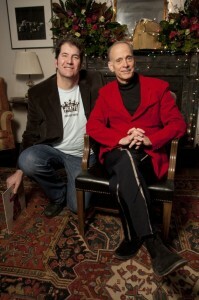 The experience also sparked his passion for collecting the more unusual songs associated with the holiday and the documentary follows Kezin as he meets with musicians behind many of the songs highlighted in the film along with other personalities including John Waters, Bill Adler, and even Barry Hansen, better known as Doctor Demento. Some of the music is quirky, even unusual but Kezin’s charm and easy-going ability to relate to these musicians make the film work in presenting a different perspective about nostalgia for the holiday season. Besides ‘The Little Boy That Santa Forgot,’ the documentary features such musical treats as ‘Blue Xmas (To Whom It May Concern),’ a 1962 song by jazz legend Miles Davis with Bob Dorough (who appears in the film). Mitchell Kezin (left) with Joseph Simmons (Rev. 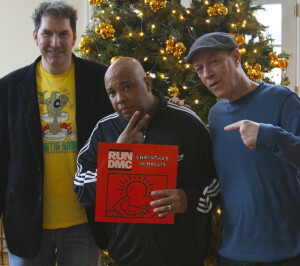 Run of Run DMC) and Bill Adler. 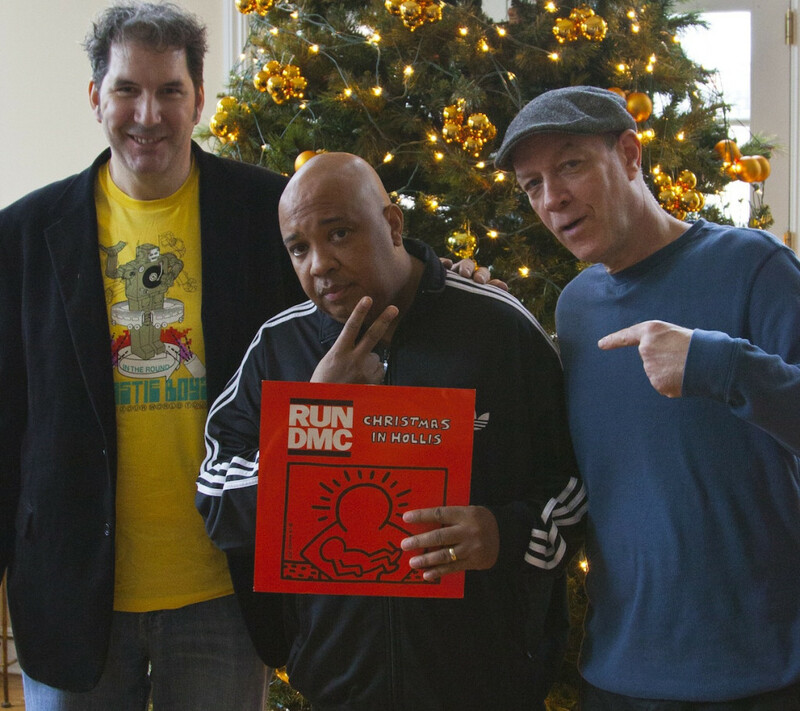 Joseph Simmons from Run DMC talks about ‘Christmas in Hollis,’ a 1987 song whose novelty he originally believed would only last a year or so. In fact, it has become a classic with a video featuring Simmons’ mother, who cooks classic holiday soul food (as the lyrics indicate) such as chicken, macaroni and cheese, and collard greens and who chases an elf at the end. The song also was featured a couple of years ago in a Toyota holiday commercial. Kezin also visits Sandra Dedrick who was part of The Free Design, a group from the 1960s with brothers and sisters from the same family that released a series of pop albums with a jazz influence. One of the songs featured was the 1968 single, written by Dedrick’s late brother (Chris), titled ‘Close Your Mouth (It’s Christmas).’ The irony is the song, which has an anti-war theme, was featured in a Christmas album commissioned by the U.S. Air Force. Not only is it a wonderful piece of pop culture history with musicians that include Wayne Coyne from The Flaming Lips, Robert 'El Vez' López, Alan Sparkhawk and Mimi Parker from the band Low, and Slinger Francisco (a/k/a The Mighty Sparrow), the documentary has a more sincerely heartfelt tone than many other Christmas films or programs offered now. And don’t forget: following the film screening, join the Utah Film Center at Beer Bar for a very special evening of holiday vinyl rarities being spun at 33, 45 and 78rpm with host DJ Feral Cat (aka Samuel Stinson of Randy’s Records). Tuesday, December 23 from 9pm until 1am, no cover.